We discuss the top trends impacting the theme park industry and provide strategies for developers and owners to adapt to these shifts within their budgets. Today’s consumers expect fantastic, immersive, quality experiences when they come to theme parks – whether it’s a destination operated by a top international owner such as Disney, Universal, Chimelong Group, or Merlin Entertainments, or a smaller regional park. In what is anticipated to be a $70-plus billion market by 2025, as the industry expands and consumer demand grows, developers and operators naturally think they are required to place an increasing amount of capital into their projects to stay competitive and on the pulse of emerging trends. However, the smartest players can respond to today’s trends without breaking the bank. Today’s guests want more than attractions that are loosely tied together with a brand or idea – or represented by a name that doesn’t reflect the actual experience. Consumers want a fully immersive experience, which stems from the complete integration of the facility, creative, and the IP – and they are sophisticated enough to know the difference. Using a strong brand to create a sense of place – so that when guests walk into an environment, they feel they are actually there – can provide the unique sensation of being transported to a magical destination. Universal’s Wizarding World of Harry Potter and Disney’s upcoming Star Wars: Galaxy’s Edge are two major examples of this trend. For many theme park developers, this type of immersive environment is achieved through first securing a high-level IP or IPs. For any but the top brands, the spend on these is generally not feasible. So how can developers compete in a world where guests have the option to visit Hogwarts or a Galaxy Far, Far Away? There are several lower cost options that have proven extremely successful when selecting a theme for an immersive destination. One way that some developers have found success is through creatively integrating a familiar yet underutilized IP in a fresh way. An older IP can still serve as a central theme around which the park can be concepted. This will save the exorbitant up-front IP cost, yet deliver a theme that guests can imagine prior to their first visit to the park. In other cases, no IP is necessary – the park can build its own brand. We’ve found this path is most lucrative when the theme is unique to the area and culture where it is located. An example could be a paradise-themed park in a tropical location. In addition to utilizing a lower-cost IP, or no IP at all, strategic design and construction methodology can also save costs while still building a strong, immersive experience. For instance, scaling down some elements to two-thirds the size, or less, can create essentially the same environment – especially when combined with visualization tricks – at significantly lower costs. Another strategy includes focusing the fully-immersive environment on certain points of the experience, and utilizing landscaping to complement that environment where applicable, as it tends to have a lower capital expenditure. 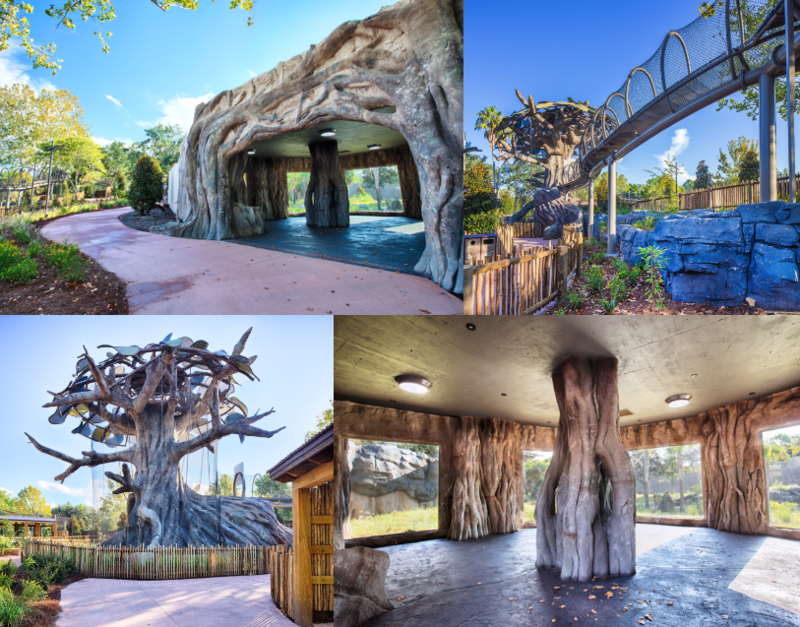 For example, our sister company Nassal recently worked with the Jacksonville Zoo on its African Forest Exhibit. The goal was to create an enrichment-focused habitat that directly related to the animals, without having to create an entirely new ‘land’ within the zoo. 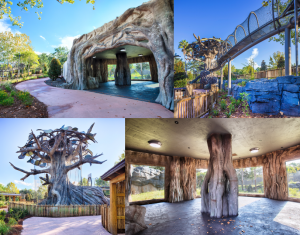 This was achieved through utilizing an existing containment wall and remodeling the structure to feature scenic and themed elements – including waterfalls, branches, rockwork, and artificial trees – in turn, telling the story of conservation in an immersive, meaningful way. In the increasingly immersive environments of themed destinations, guests long for a total experience. One of the major components of this is cuisine. Guests are finding this in places like the Wizarding World of Harry Potter – in the form of smoked turkey legs and butterbeer – adding to the complete experience. In turn, this raises the expectations at other attractions and destination. Operators are getting smarter about their food offerings and are recognizing that creative cuisine – alongside regional staples – is increasingly important. While people rarely expect the best meal of their lives at a theme park, operators are finding success with good quality that isn’t taken too seriously. According to our frequent collaborator Mike Oswald, Managing Partner, Management Services of leading theme park operator MR-ProFun, destinations in the western world are still selling more traditional food like hamburgers, pizza, fries, and hot dogs than anything else. That said, the firm is not only seeing an increase in food quality overall, but the introduction of unique food options mixed into the offering. Oswald cites Universal’s Volcano Bay water park in Orlando as an example, where the menu at Whakawaiwai Eats includes footlong hot dogs and pizza – featuring both the classic cheese and pepperoni as well as island-inspired toppings such as caramelized pineapple and mango BBQ sauce – alongside pan-seared shrimp pasta. As another example, we recently visited a theme park in South Korea and experienced a significant improvement in the food quality over just a few years prior. The items were cooked perfectly and tailored to the region – which both locals and tourists appreciate. Food can also be a unique way to engage kids and provide an experience. However, this doesn’t always require that an entire meal be part of the totally immersive experience. Something as simple as fun shaped candies – say, insects for a bug-themed world – can often make a strong impact. 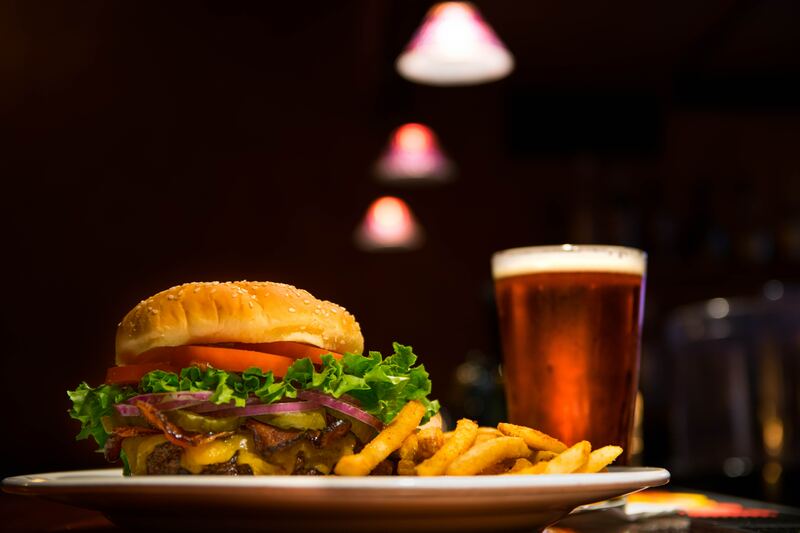 Further, theme park developers are finding that they can reduce capital costs without compromising food quality by designing food preparation dining environments that are operationally smart. For example, the co-utilization of kitchens for multiple eateries keeps costs down. To a similar effect, having one outdoor eating area for multiple restaurants maximizes investment and use of space. Another factor in theme park trends is the utilization of ever-evolving technologies. Today, new technology advancements are enhancing the theme park experience and adding entirely new types of attractions. 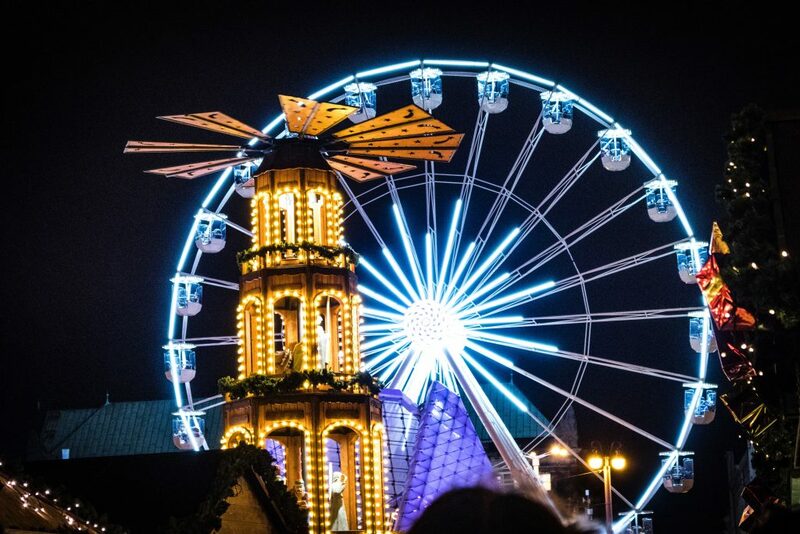 While the new technology is attractive to visitors who have often not otherwise experienced it, it is also a new experience for the theme park operator who must consider how these different experiences function in terms of operations costs and guest capacity. 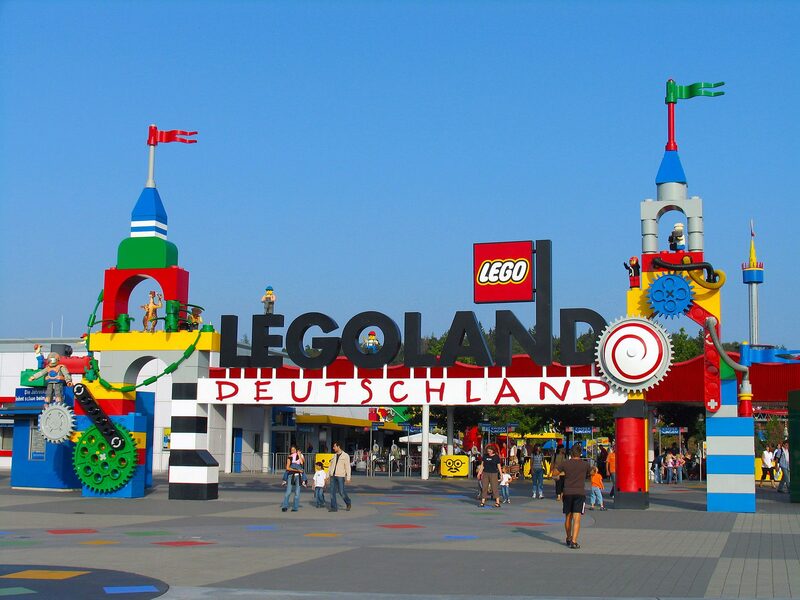 For example, a theme park client we work with is currently considering parkwide gamification. The challenge for the involved stakeholders is that they must weigh the appeal of introducing such a unique experience with the capital cost, as well as how doing so will affect schedule, since the park is already under construction. 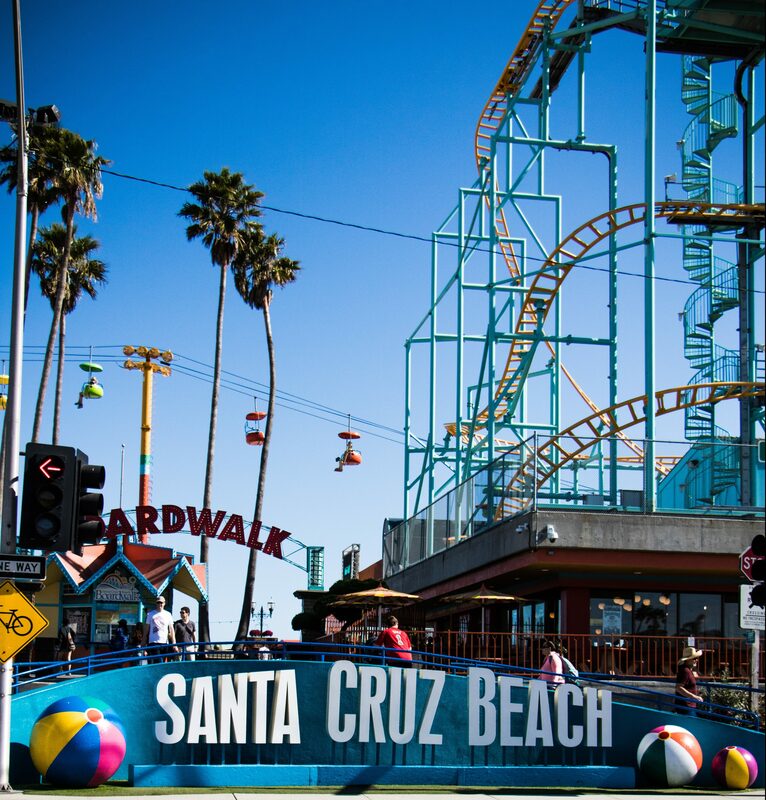 As another example, virtual reality and augmented reality, both in standalone destinations like The VOID and incorporated into existing theme parks, are gaining popularity. 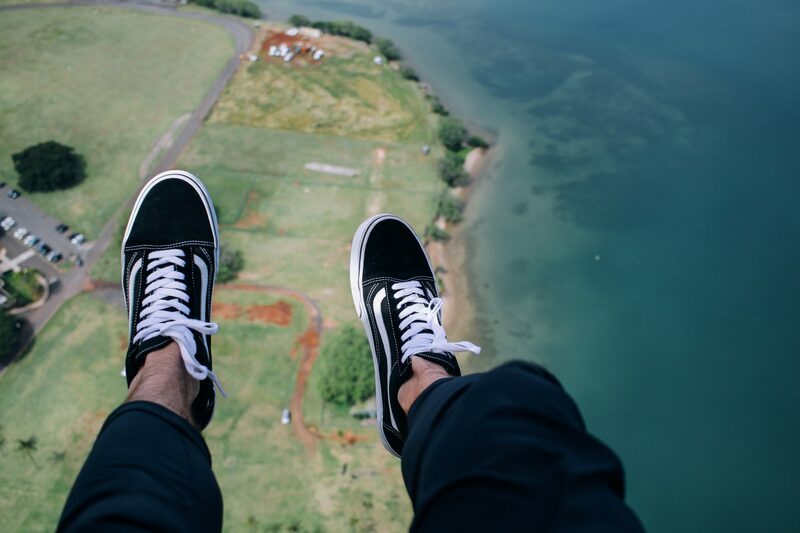 These attractions require additional staff and time to help guests through the experience, in and out of suits or equipment, as well as to sanitize and hang items. Further, return-on-investment can be lowered as the number of people is greatly constrained based on the space and time of the experience. The good news is, AR technology is smaller and not as heavy, so we will see more and more AR devices that guests can wear throughout the day at theme parks, eliminating some of these issues. That said, it is important that theme park operators not jump in until the finances make sense. At this point in time, this technology remains very expensive and requires specific consultants who are not always available, driving up capital expenditure and potentially increasing timelines for construction. When our clients want to incorporate new technologies into their parks, we always ask – how important is the novelty of the tech versus the experience? Can alternate technology provide the same experience? While guests are intrigued by AR and VR technologies, older tech used in new ways and combined with strong design can greatly reduce cost, while still offering new experiences. For example, we recently recommended that a client use rear projection and front projection to create a 3D-like, immersive experience – providing the same intent, and psychological immersion, without anything near the same costs. We all know the business of theme parks is naturally highly competitive, and it is important to stay on the pulse of emerging trends. That said, it is equally important to recognize that there are creative ways to keep up with today’s consumers and demands without making the (often impossible) capital investment in the latest and greatest. Those working with a reasonable amount of capital and the right partners to ensure a strong planning process will be able to anticipate a strong result that marries the budget with a cohesive theme, interactive experiences and financial success. 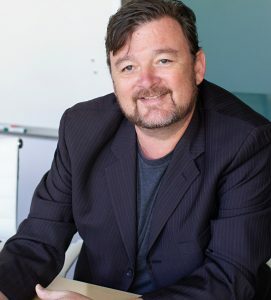 With more than 20 years of experience in global design, media, show production and project management, Rob Wyatt balances his world vision for attractions and entertainment with a sensitivity for local context and culture. As a Program Director at nFusion, he leads the firm’s Project Development efforts and lends his expertise in media, show and design context to our project delivery teams. Believing that owner’s representatives in Entertainment should not only deliver solutions that result in commercial success, but also benefit their locale and inhabitants, Rob has completed a number of award-winning complex projects, producing guest experiences for mixed-use developments, theme parks, attractions, museums, aquariums and corporate centers around the globe. Full Bio.